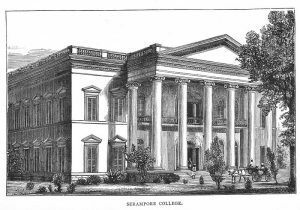 Our news page allows you to stay up-to-date with the latest developments in the Baptist Historical Society. 100 years ago, John Howard Shakespeare, who was then General Secretary of the Baptist Union, published his important book The Churches At The Crossroads. 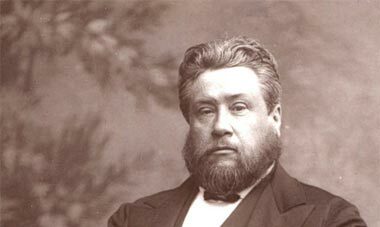 He challenged Baptists to rethink who they were, and, most significantly, how they related to others, asking them to reflect on the nature of the full Church of Christ. As we mark 100 years since the publication of that ecumenical challenge – and as we continue to ask how we relate across denominational borders – here are some resources to help engage with the book, its impact and its legacy. and John Howard Shakespeare, 1857 .. 1928 An address delivered at a service in St. Mary’s Church, Norwich, to commemorate the centenary of his birth by M E Aubrey. Our next BHS Conference will be in July 2019. The theme will be Baptists of of the 20th century. Watch this space for details…..!! A conference to celebrate the 200th anniversary of Serampore College in India, is to be held at Oxford on October 19-21st. 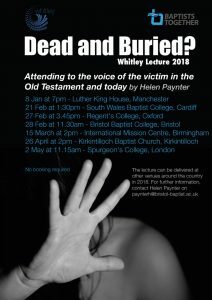 The Baptist Historical Society is one of the co-sponsors of this event. New publication in March 2018; update! 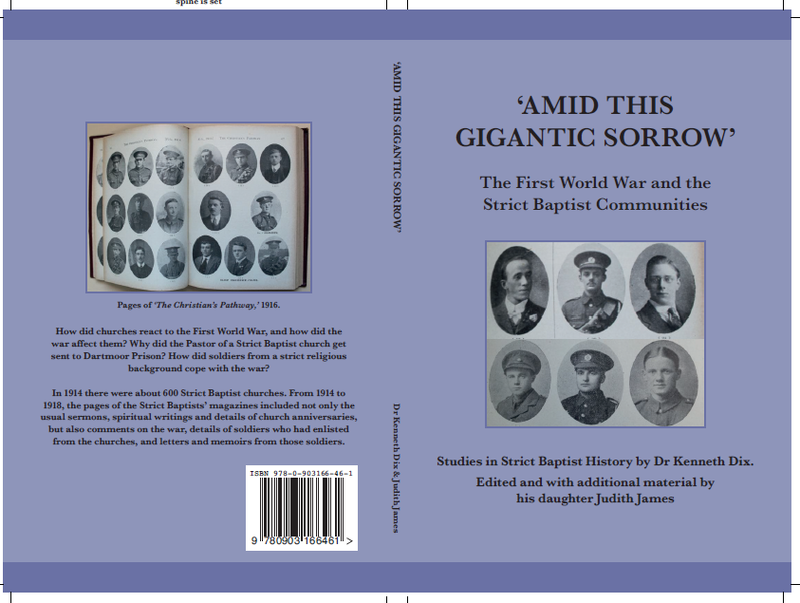 Amid This Gigantic Sorrow: The First World War and the Strict Baptist Communities prepared by Dr Kenneth Dix and edited by Judith James will be available in March 2018. This will now be priced at £9.50 plus p & p.(and not at £15 as previously advertised). 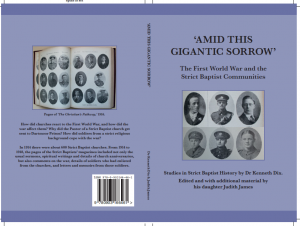 This volume is a collaboration by the Baptist Historical Society and the Strict Baptist Historical Society. Enquiries or orders may be processed via Andrew Jones at adjones66@hotmail.com“.